Here you will find information on the best sewing machines for the money including ones for beginners, cheap sewing machines that are made by my favorite brand- Brother, as well as some of the top in different price ranges. Of course I encourage you to research on your own prior to making any purchase. Singer 7258: One of My Favorites! The Brother XL2600i Sew Advance Sew Affordable 25 Stitch Free Arm sewing machine is in my opinion, the best Brother sewing machine for the money. Click on the image below to read my full review. 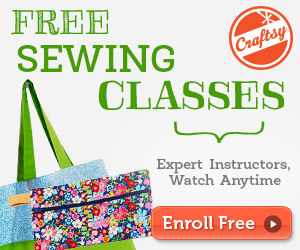 It is great for beginners and seasoned users as it offers numerous perks that all sewing enthusiasts should know how to use. I think this sewing machine is the best sewing machine for the money. This machine has a top drop in bobbin, so you won’t have to worry about it unwinding or getting snagged as easily as the side bobbins that can easily become dislodged. The diagram on the machine shows how to thread the auto threader so that you no longer have to worry about getting it right. This is ideal for beginners or those with less than perfect dexterity, to always get it right the first time. Accessories included are: button hole foot, zipper foot, button sewing foot, blind stitch foot, narrow hem foot, needle pack, three bobbins, twin needle, darning plate and an extra spool pin. The stitches include 3 heirloom, 2 quilting, 4 decorative and 11 construction along with the 5 basic stitches. With all of these, options and the instruction manual, there is no project that cannot be completed with a little work and a lot of fun. Another good machine that I can recommend is the Brother XM2701. Don’t let the cost of this cheap sewing machine fool you; Brother XM2701 is top of the line for the price range and gives the best bang for the smaller buck. It is an easy to use sewing machines that offers all the perks of more expensive machines. The instruction video that is included will show anyone in easy steps how to use all the options available, so new users won’t be left in the dark. Watch this video to learn more about the built-in features of the Brother XM2701. This machine offers free arm sewing, and a removable storage compartment beneath the free arm offers storage for all of your small items such as extra bobbins and needles. Any type of thread can be used, and the machine allows for average thickness on the darning plate so you can sew up to 6 layers of denim at once. Numerous projects like blankets and quilts, coats and jeans can be completed with ease using this machine. This machine can do anything that more extravagant machines do. For your money, you can’t go wrong with this model if for no other reason than the automatic sizing button hole feature. Singer 7258 is a top of the line machine that offers all the bells and whistles that experienced sewing enthusiasts prefer. Read my full review here. Any kind of project can be completed on this machine, as it offers quilting options and can do things as simple as a hem. Whether you are looking for something to play around on every once in a while, or a machine to use daily, this is an ideal pick. The 6 segment feed dog is more accurate than the average four segment on other models. The higher than normal presser foot lifter allows for thicker materials to be used, and the thirteen different needle positions allows for all kinds of projects like quilts, blankets, complete outfits and even drapery to be completed easily. So no matter what kind of enthusiast you are, this machine is ideal for the price. Too many people think that just because you don’t spend a pretty penny on your machine, that you are getting a less than usable piece of machinery that won’t stand up to normal work loads. And that is completely the wrong to anayze the capability of a sewing machine. Honestly, there are a lot of cheap sewing machine that you can buy to help you get started the soonest and the Michley Lil’ Sew & Sew LSS-339 is a portable sewing machine that offers users a great experience with less money out of pocket. This Michley brand machine is top of the line for its price, no matter if you use it once or hundreds of times. You will always get your dollar’s worth with this machine, based on what it offers alone. Most of the less expensive machines are made to be used by younger users or those with no expertise level in sewing. 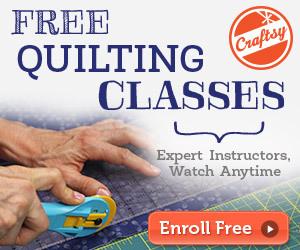 This is ideal for beginners, but has options for basic mending and easy projects for more experienced users as well. Whether you plan on hemming or making small projects like jeans and outfits or you want to make your own blankets, this less expensive option can be right up your alley. The Singer 2259 Tradition Easy To Use Free Arm 19 Stitch sewing machine is a fantastic machine for beginners to learn to sew on. One of the top brands on the market, the Singer is made with sturdy construction and easy to use controls. For the price, you won’t find a beginner machine that is built as well nor offers the options that the 2259 does. With so many models calling themselves ‘beginner’ machines, it may be hard to pick the right one. This is the right one, in my humble opinion if you only have the money to spend on a machine. It offers all the stitches that beginners need practice on, along with the capability of working with as thin or thick fabrics as you would like. The automatic presser foot controls means you don’t have to stop in the middle of a project to change the height of the presser foot, as it will raise on its own while being used. The foot pedal is an essential tool all beginners need to learn to use, but the fact there is a hand wheel is ideal also. Using the hand wheel when a beginner isn’t sure of themselves can not only help them learn confidence, but will also help them to understand the mechanics of their machine in case it should ever break down. Some older machines only had a hand wheel, and many people collect them. So if a beginner were faced with using someone else’s machine that was older and only had a hand wheel, this experience will be helpful in their education. My best recommendation is to get any cheap sewing machine that you can afford while saving up for a better model. As soon as you save more money, go check out my Brother CS6000i review. It is my most favorite sewing machine ever. Bought mini sewing machine around 6 months old model:V201 not working.Making funny noise when sewing on button is pressed and is not sewing . What to do? Hello Durba. Thank you for taking the time to comment and I’m sorry that your sewing machine broke. May I ask what brand model it is so I can help you find a solution?